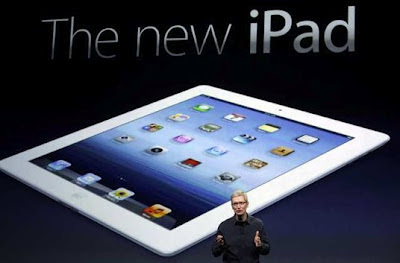 With the launch of the new iPad in the rear view mirror, it's time for the annual iPad sales hysteria. Since its introduction in 2010, the iPad has dominated & defined the tablet market. iPad & tablet sales have been zooming over the past year, with annual growth in excess of 250%. However, in Q4 2011, the iPad's market share dropped to 57% as compared to 39% for Android tablets. Even with this drop, absolute sales numbers for the iPad have seen phenomenal growth, which emphasizes the staggering growth of the tablet market. Now, as with the launch of any major Apple product, the iPad will see a spurt in sales & market share this quarter. But what will the iPad's market position look like in this industry in the long-term? In order to understand this, we need to understand the primary product & market segments in the industry. Industry segments typically evolve over time and have a greater impact as an industry matures. We have seen the beginnings of this kind of segmentation starting to form, with the launch of products like the Asus Transformer Prime and the Kindle Fire. Let's have a look at these segments and how they would affect the iPad, as well as the industry at large. A media tablet could be described as a generic term for any touchscreen-only tablet. Obviously, this segment was created by Apple, with the launch of the iPad. This segment currently accounts for the lion's share of the tablet industry and with the launch of the Amazon Kindle Fire, this segment has become significantly more competitive. Since buyers of media tablets are predominantly average home users, the usage patterns are skewed towards browsing and media consumption. For these users, the key factors affecting their purchasing decision comes down to brand, pricing & a large application base. This is the primary reason why the Kindle Fire has managed to be so successful in such a short span of time. Based on the target market for this product segment, the screen size and the price of the majority of products would be at the lower end of the market (7+ inches & $200-$400). This segment will start to get significantly more competitive later this year, with Google set to launch an Asus manufactured, quad-core, Nexus tablet at $200 and Amazon set to launch the upgraded Kindle Fire. A hybrid tablet is essentially a high-end tablet, with the added functionality of an attachable keyboard dock & trackpad. The form factor is similar to an ultrabook and it is also mouse-compatible. This segment was created by Asus, with the original Asus Transformer and has grown in popularity with the launch of the Asus Transformer Prime. Now, other PC/Tablet manufacturers have taken notice of this segment and have begun launching similar products. Typing long emails/documents has long been a nightmare on touchscreen-only devices and Hybrid tablets have come to prominence as a solution. In addition, it is far more comfortable to use & carry, as compared to a tablet with a connected or bluetooth keyboard accessory. In terms of usage patterns, hybrid tablets could be used for productivity or high end gaming, apart from media tablet uses. Based on these usage patterns, the target segment for hybrid tablets is primarily high-end home users/power users and in the long run, enterprise users. For these consumers, the key factors affecting their purchasing decision are most likely processing power, a keyboard dock, long battery life & a large, high-end application base. Based on this target market, the screen size and the price of the majority of products would be at the higher end of the market (10+ inches & $400-$600). How does this affect the iPad? The new iPad and the iPad 2 are still essentially high-end, high priced ($400+) media tablets, without the added functionality of a hybrid tablet. As these segmentation trends start to make their mark over the next year or two, the iPad will be caught between these two worlds. Apple could tackle this problem by introducing a smaller, low priced iPad (much to the dismay of the late Steve Jobs) or by marketing the iPad with a dockable keyboard. Introducing a smaller, cheaper iPad would make Apple compete on far lower margins, risking their industry-leading operating profit margin. While, marketing an iPad with a tablet dock would undoubtedly cannibalize sales of the Macbook Air, which is a considerably high value product for Apple. Both strategies have their pitfalls, but they will be necessary if Apple expects to continue to be a major player in this industry. Most analysts estimate the tablet market to grow by about 100-150% this year. But driven by the launch of the upgraded Kindle Fire & especially the $200 Nexus Tablet, I expect sales to beat analyst estimates. Based on these product launches, I expect Android Tablets to pass the iPad and capture over 50% of market share by the end of the year. The iPad would see massive growth in absolute sales numbers as well, but will not be able to match the growth of competition. I have already covered my expectations from Windows 8 tablets and a late launch in Q4 2012 would mean they would have a minimal impact on the market. It will be a smaller iPad. Btw, is market share everything? I'm willing to bet it won't be a smaller iPad. That won't happen unless Apple's willing to live with lower margins, which it isn't. The primary reason for Apple's stock price growth is maintaining their margins in a rapidly growing industry. Market share is everything when you look at the impact on the global industry. Market share is not everything when it comes to profitability. At that point, it depends on what method suits each company to maximize profits & hence shareholder value. To answer your question regarding market share and how it relates to Apple - Market share loss won't negatively affect Apple now because the industry is growing at 100+%. But industries mature and growth rates slow, at which point, you either need to grow market share or move into a new segment to maintain growth expectations. The problem is, technological revolutions like this don't happen every few years. That's where Apple's long-term challenge lies. This analysis brings an interesting question with regards to Android segmentation. The current Android 4.0 has promised unification of the platform for phones and tablets. But the needs and requirements for media consumption tablets (like Kindle Fire) and productivity tablets (like Transformer Prime) are quite different. This will drive the development of features unique to each segment, which in turn will fork off Android once again. It is true, that currently there are attempts to bring the same performance everywhere, but it simply does not make any sense for a smartphone, or media consumption table to pack the processing power of an productivity tablet -- at the cost of extremely short battery life etc. None of this affects Apple in any way, as Apple has deliberately chosen to limit their product to just the sweet spot. See that's the beauty with Android, the hardware requirements may be different, but all Google needs to do is bake in the features into the OS. Media tablets won't use it optimally but can use it to a degree, and productivity tablets will. And of course this effects Apple - No matter which way you slice it, the iPad is essentially a media tablet. There is no difference in the performance quality between a Tegra 3 device and an iPad. This is where Google's Nexus tablet comes into play. If you offer that kind of performance at that price point, you essentially dominate the market. Look, like I said, the iPad's sales aren't going down. It's way too early in the lifecycle of the industry for that. But Google will expand the market at a much faster pace than the iPad can. What this does is take away possible future buyers from the iPad. It's already been documented that as people pick a platform, more often than not, they stick with it. The difficulty of unseating a dominating incumbent is that the challenger must not only match the incumbent in every aspect, but also to exceed it visibly in multiple fronts in order to give people a reason to switch. In this case, the NexusTablet still lacks tablet-optimized apps (scaling up a phone app just looks weird). A few thousand (very generous) Android 3/4 optimized apps compared to 200K iPad apps. Google is solving the wrong problem. Nothing wrong with the hardware specs of current Android tablets. It's what inside that counts. Couple of things, the fastest way to beat an incumbent is to give comparable performance at a lower office. And your assertion on Google's approach is not entirely accurate. Google believes that every app should offer a landscape layout that scales perfectly to a tablet, while retaining the portrait layout for a phone. As an example, look at Google's currents app. This way, scaling phone apps to a tablet is far easier and it is the right approach as the app gap would disappear. Nice one. You are really sticking your neck out on this one. I will check back end of the year. Interesting read but you make one fatal assumption. That the market wants Android tablets. So far, it does not. The most popular non iPad tablets are not even Android but Androidish. The Fire and the Nook. See, this is where most people get tripped up. When a consumer is looking for a low cost media tablet, he's got very few choices today. This is where the nexus tablet comes in. Once you match then on price, then consumer choice comes into play. And it is a major error to assume that no one wants Android tablets. The market share of practically every single Android tablet (no matter how small) is growing, while the iPad's is shrinking. That means all Android tablets are growing faster than the industry. That is where I think you get tripped up on this entire analysis, however; that price is the sole deciding factor. It is not. Both Amazon and Apple have been building up a strong media based eco-system for many years. People understand their media offerings and each have a huge number of accounts already built up. Apple has over 1/3 of a billion iTunes accounts. Amazon has 10's of million Amazon Prime members and 100's of million of accounts. These are accounts with credit cards and easy purchasing already setup. Google has a small handful of millions. Even Google's music offering has been a sad failure. A cheap Nexus media tablet will be just that. A cheap media tablet from a company with a dismal record in consumer electronics and paid for content distribution. They will not be able to undercut Amazon. Period. Google simply cannot undercut Amazon without loosing 100's of millions of dollars. If Google prices near the lower-end $400 iPad 2, everyone will simply buy the incumbent iPad. Based on web usage data, there is no indication iPad is loosing share. Android is loosing to the Kindle Fire (I do not count the Fire as an "Android" device but a device in pure competition to Google's Android ecosystem). There is little indication that the market is interested in an Android tablet. Disagree on many fronts. First, web usage data is an indication of install base, i.e. past sales, whereas shipments are indicative of future sales, i.e where the market is heading. So your assertion is not based on the right data points. Second, the iTunes account holders and Amazon prime members are a very proportion of the global market for tablets. In addition, Google's content offerings have just started and there is nothing stopping users from using Amazon services on a nexus tablet. Third, it is beyond wrong to asset that Google cannot beat Amazon on price, when it has been reported that the BOM of the memo 370t was reduced to get below the kindle fire, even without any Google subsidy. In addition, Google didn't draw as much revenue from content offerings as it does from advertising. In any case, we will find out soon enough. Have you been young ? When I was young, the most sold book were Mickey Mouse ( Topolino here) and Marvel comics. The size, if my memory doesn't fail , was the equivalent of a 7 inch and a 13 inch. There was some 10 inch size but not so successfull. askying for a cheap 13 inch ! in order to read the comics without resizing. My 2 cents, Apple founder got it wrong. A 23 inch deskop in house/ office. I would like to point out the gentleman of authorship has been overwhelmingly accurate deriving these predictions from his statistical analysis. I'm bookmarked.